Being a parent of two little bairns finally feels like 'normal', and I'm getting back to my usual attitude of keeping the days busy and getting out and about as much as we can. Unfortunately all our usual classes are on break during the holidays so I'm filling up the diary with play dates with friends instead. This week I've seen BookBairn grow so much as she ventured into the 'jungle' soft play with her little friend and the slid down the slides hand in hand; she also climbed to the top of a tall slide at the park and came down all by herself. My cautious little girl is finding her adventurous side! We also had her 27 month health check and she scored high in problem-solving and language skills which wasn't a huge surprise to us as her nursery had indicated she was good at both these things. She has measured up as petite though having started her life as a big(ish) baby it seems she is a petite little toddler! Big personality and big enough to boss us all around at home though. The Wee Page Turner has also been coming on leaps and bounds - he's building his strength for tummy time and likes to be held up so he can hold his weight on his feet. He's also started giving us lots of smiles and giggles and is beginning to develop a little personality of his own. His favourite thing to do, undoubtedly, is to watch his big sister in fascination. And she has started to read stories to him! So cute! 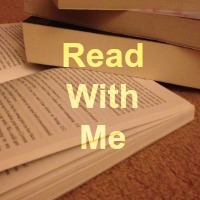 Today's guest post comes from Wendy, the Homegrown Reader, a fellow book enthusiast! Wendy and her family have lived in many places across the globe but currently find themselves in Germany and it's this travelling, I think, that make her book selections so interesting, varied and fascinating! Like, BookBairn, her little 'Bug' has a passion for books which, like me, she's enjoying nurturing! 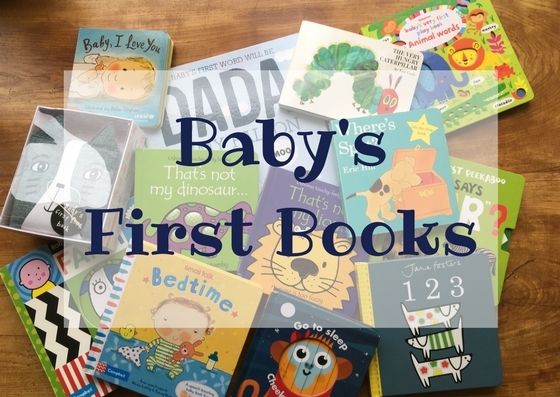 Over to Wendy for some new baby book selections. Synopsis: A sweet alphabet sing along. My grandmother taught me the words to this song right after Bug was born. We were sitting outside and as she held him she sang this song in her soft, sweet voice that warbled with age. She had sung this song to her children and her countless grandchildren. My aunt gave us the book a short time after and it's been a favourite ever since. I've read and sung it to Bug as he lovingly cooed at the illustrations, as he's hummed along, as he's helped me with the letters and words, and as he's read/sung it to me himself. These are some of the most cherished moments I can think of, to share a song and story that not only showers my little one with praise and love, but with heritage that connects him to his family. It is a book that we can take with us even as we leave it at home and something that encourages his beloved interest in reading. It's also an alphabet book that doesn't take twenty minutes to read. Short, sweet, memorable, and worthy of song. Those are all points for a win in my book. Synopsis: A mother bunny reminds her little bunny that her love will follow him anywhere. I don't know why I've never been a huge Goodnight Moon fan. That being said, I love it's companion book The Runaway Bunny. It's sweet and tugs at my heart strings with just a dash of wit and charm. Plus, I have a healthy dose of respect for a mother that can so quickly and convincingly convince her creative child that no matter where he goes she will find him and always love him. Clement Hurd creates a unique effect by including colourful illustrations in a largely black and white story. The illustrations are very reminiscent of Goodnight Moon but stand out on their own by embracing a whimsical flights of fancy. Turning the page to these wordless beauties leaves me smiling every time. The little bird bunny is a favourite of mine flying into the arms of his mama bunny who's transformed into a tree where he makes his home. I gets me every time. The final line of the story is delivered after all this the bunny decides to just stay home and the mother bunny responds by saying, “Have a carrot.” I've always thought this weird but I think after having children, I've cracked it. I'm convinced that the bunny was using running away as an excuse not to eat his dinner. Maybe that's not it and I'm reading far too much into this but every time we read this now I shake my head and sigh. Been there. This mama bunny deserves some serious bonus points for keeping cool and coming up with a fun and distracting way to derail his line of thought. Something I always aspire to. Letting little ones spot the little bunny adds an extra bit of fun to each coloured page. Come up with your own companion ideas. Although beware, you'll really need to think on your feet. How cute is that alphabet song?! BookBairn and I will have to learn it to sing to The Wee Page Turner. And I love that the book goes along side it. We have another book, 'Baby, I Love You' that can be sung to the tune of 'Twinkle Twinkle' and BookBairn loves singing it! Like Wendy, I'm not a big fan of Goodnight Moon either so I'll be looking out for Runaway Bunny as a good alternative. Thanks so much for your recommendations Wendy! Homegrown Reader currently based in Germany. Most of my days are spent with Bug, my son, adventuring through life. He seems very interested in books so far. Of course, I'm using all of my book knowledge to encourage that blossoming relationship. I post as I sift through old favorites and discover new friends. I mostly review books but love throwing some crafty projects up on the site every once in a while. Follow me on Instagram or Facebook for weekly book reviews. Both BookBairn and the Wee Page Turner are coming on a ton and it is fascinating to watch them interact with each other. I like the look/sound of "A Your Adorable". Sounds like a good sing. I need to find The Runaway Bunny! I wonder if the carrot was the classic - you're unhappy enough to go AWOL and when you come home I will make up for that unhappiness with the best carrot ever. Haha! Let's just hope we never have to chase down a real runaway bunny from our garden! I'd be devastated if Jenson ran off! Should've been "A You're Adorable". Spellcheckers!!!! Thanks! She loves her books!